Harold Simmons was a remarkable, generous, and gifted man who exemplified the American Dream. As one of three sons, Harold was born May 13, 1931 to strong rural Texas school teachers, Reuben Leon and Fairess Clark. He gave his life to Jesus in a small Baptist church at the age of 12, and there in those surroundings learned Christian values, honesty, discipline and a healthy respect for education and hard work. At the age of 16, Harold and his family moved from Golden, Texas, to a community near Austin where he enrolled at The University of Texas and was a member of the Southwest Conference championship basketball team of 1951. He then earned his bachelor's and master's degrees and was awarded a Phi Beta Kappa key. Mr. Simmons is survived by his wife of 33 years, Annette Caldwell Simmons, his children Lisa Simmons and her son, Harrison Simmons Epstein, Serena Simmons Connelly and her husband Thomas and their daughters, Natalie and Nadia, Amy Simmons Crafton and her husband Joe Crafton, Andy Fleck and his wife Kammy and their children Austin Fleck and Adrienne Fleck. He is also survived by a brother Douglas and was preceded in death by his parents and brother Glenn. Mr. Simmons' first job was as an investigator for the U.S. Civil Service Commission, then as an Assistant Bank Examiner at the Federal Deposit Insurance Corporation and an assistant loan officer at Republic National Bank. After five years, he decided he would rather work for himself. So at age 29, Harold became an entrepreneur when he purchased a small drugstore near SMU in Dallas. In 1966, he began to acquire other drugstores including buying Williams Drug Co., Ward's Cut-Rate Drug Stores and Madigan-Dugan. 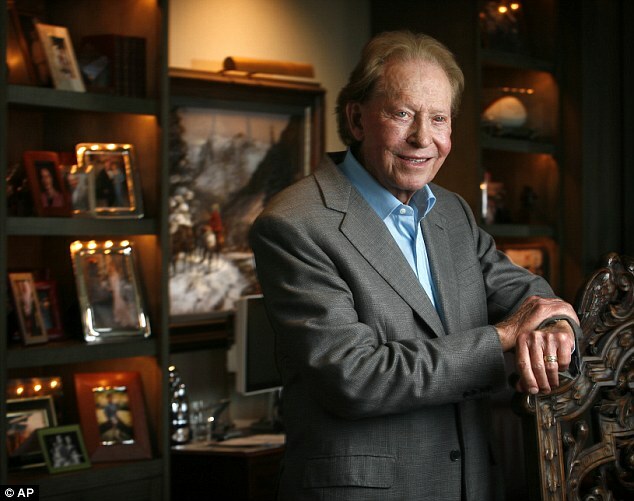 He ultimately built a chain of 100 drugstores that he sold in 1973 for $50 million to Eckerd Corp. for stock. Mr. Simmons was founder, chairman and CEO of Contran Corporation, a holding company that over the years held interests in a variety of industries, including chemicals, titanium metals, steel, component products, hazardous and low level radioactive disposal, refined sugar, timber and forest products, fast food restaurants, oil and gas services, real estate and others. The combination of value investing philosophy and conservative financial discipline, combined to create a diversified portfolio that has grown substantially over the course of his career. The portfolio of investments have included controlling interests in Valhi, Inc., Kronos Worldwide, Inc., Titanium Metals Corporation, CompX International Inc., Medford Corporation, Medite Corporation, Baroid Corp., Amalgamated Sugar Company, Sybra, Inc., LLC Corporation and Keystone Consolidated Industries, Inc. In addition, Mr. Simmons served on the boards of Contran Corporation, Valhi, Inc., Kronos Worldwide, Inc, Titanium Metals Corporation, CompX International Inc., Medford Corporation, Medite Corporation, Baroid Corp., Amalgamated Sugar Company, Sybra, Inc., LLC Corporation, Keystone Consolidated Industries, Inc., and GAF Corporation. Mr. Simmons was actively involved in philanthropy with his wife, Annette, and served on various honorary and executive boards including SMU's Cox School of Business and Dedman College of Humanities and Science, The Parkland Foundation, The Kidney Foundation, UT Southwestern Medical School, The Crystal Charity Ball Advisory Board, the Dallas Heart Ball, the Ronald McDonald House of Dallas, The Texas Scottish Rite Hospital for Children Annual Treasure Street, The Human Rights Initiative of North Texas, and the Military Ball. Mr. Simmons also received several local awards for his unwavering support and involvement with Dallas-based charities, which included the Dallas Historical Society Philanthropy Award for Excellence in Community Service, The Annette G. Strauss Humanitarian Award, the Champ Award by The Dallas County Medical Society Alliance, the Dallas Distinguished Community Service Award, and the United Way – Alexis De Tocqueville Society award. Harold Simmons was a man of few words but giant actions. He once said, "Life has been good to me, and I want to be good to life." This philosophy led to the establishment of The Harold Simmons Foundation in 1988, for which he served as chairman. The Foundation focuses on education, health care, social welfare, civic improvement, and the arts and has generously provided funding for The Arboretum, The AT&T Performing Arts Center, Austin Street Shelter, Baylor Healthcare System, Buckner Children and Family Services, Center for Brain Health at UTD, Children's Medical Center, Cold Spring School Foundation, Council for Life, The Crystal Charity Ball, The Dallas Civic Opera, Dallas County Sheriff's Posse, The Dallas Women's Foundation, The Dallas Zoo, George W. Bush Presidential Library and Museum, Habitat for Humanity, The Heidi Group, Interfaith Coalition, Kalispell Community Regional Medical Center Honoring Paul M. Bass, Jr., Liberty Institute Marine Toys for Tots, Legal Hospice of Texas, McDonald Observatory, Mercy Ships, New Friends/New Life, Operation Care, The Oprah Winfrey Leadership Academy for Girls in South Africa, Parkland Ambulatory Surgery Center, Parkland Memorial Hospital, Pickens Presbyterian Communities and Services Hospice, Reconciliation Outreach, Ronald Reagan Presidential Foundation, The Salvation Army, Texas Scottish Rite Hospital for Children, The Senior Source, Susan G. Komen Foundation, The Sweetheart Ball, University of Texas, Uplift Education, UT Southwestern Medical Center at Dallas, Westment College, and Young Americans and to name a few. Most recently a gift to Southern Methodist University provided an endowment for the university's School of Education and Human Development and a new facility named the Annette Caldwell Simmons Building plus an additional gift providing a new facility to be named the Harold Clark Simmons Hall.